Fellow food blogger Jamie Schler recently wrote this interesting piece for the Huffington Post bemoaning the wave of boxed brownie mix, chopped up chocolate bars and cans of frosting masquerading on blogs around the world as home baked treats. While I’m not averse to the odd Oreo crumbled into a blondie or topping a cupcake with fizzy cola bottles, I absolutely agree with her that baking should be about creating things from scratch. It may not make them calorie-free, but using real butter, free range eggs, seasonal fresh fruit and natural colourings in all my recipes is important to me and feels a world away from the oleaginous Worrall-Thompson’s sickly sweet idea of dessert. 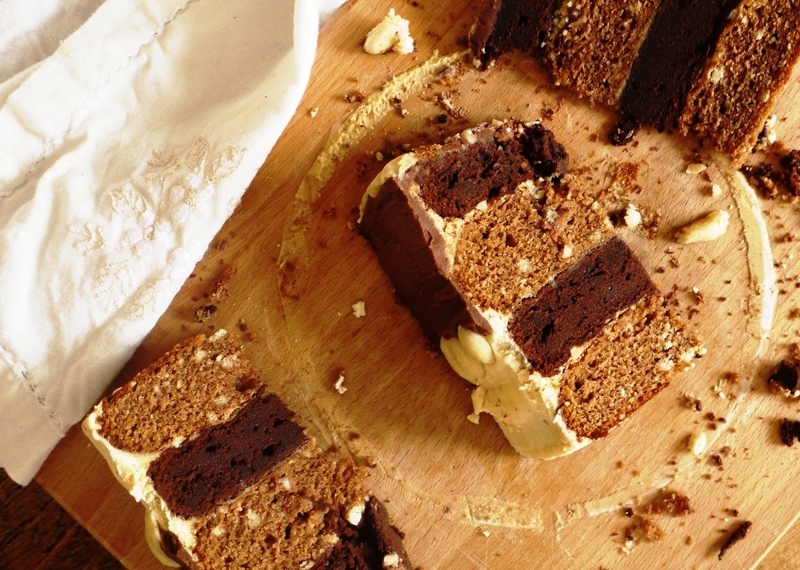 Four thick tiers make this cake a bit of a beast . . . While a Snickers Pie is not something I intend to try recreating any time soon, I do like the idea of chocolate bar inspired desserts. Pastry chef Emily Luchetti claims that some of her best creations being are on sweets and chocolate bars, adapting tried and tested flavour combinations to create some infinitely more exciting, and this blog is testament to the pleasure I find in trying to recreate flavours and textures found in favourite childhood treats. Where I find a lot of actual chocolate bars too sickly and sweet (not to mention being rammed full of colouring and preservatives), the combinations of ingredients can be second to none: peanut butter and chocolate Reeses Cups, the coconut bound in dark chocolate of a Bounty, the light, bright green bubbles of a minty Aero or the classic combination of peanuts, caramel and chocolate found in a Snickers. Snickers-inspired recipes have featured on this blog twice before – once as a salty sweet macaron: packed with dark cocoa powder and sandwiched together with dulce de leche – and once as an ice cream bar: sweet smooth peanut butter ice cream layered with nuts and caramel beneath a shiny chocolate coating. Neither contains the bar itself, but is a play on the flavours, a way of bringing a new angle to a recognisable set of flavours and getting us excited about them again. Not simply melting them through cream cheese, spreading it into a pre-bought puff pastry case and calling that dessert (sorry Anthony, your pie sounds revolting, I’m not going to hold back). This recipe is another attempt at recreating the flavours found in a Snickers, this time in cake form. I’d promised to bring something for dessert to a dinner party on Saturday, and with the horrendous weather we had this weekend it felt like the perfect excuse to bake a layer cake. I’ve had my eye on a hazelnut cake containing caramel from Dan Lepard’s Short & Sweet for a while now and decided the time had come to give it a try. Unable to leave any recipe alone, I substituted peanuts for the ground hazelnuts, increased the amount of icing and layered it with my favourite dark chocolate sponge. The result is a cake to feed the hungry hoards. 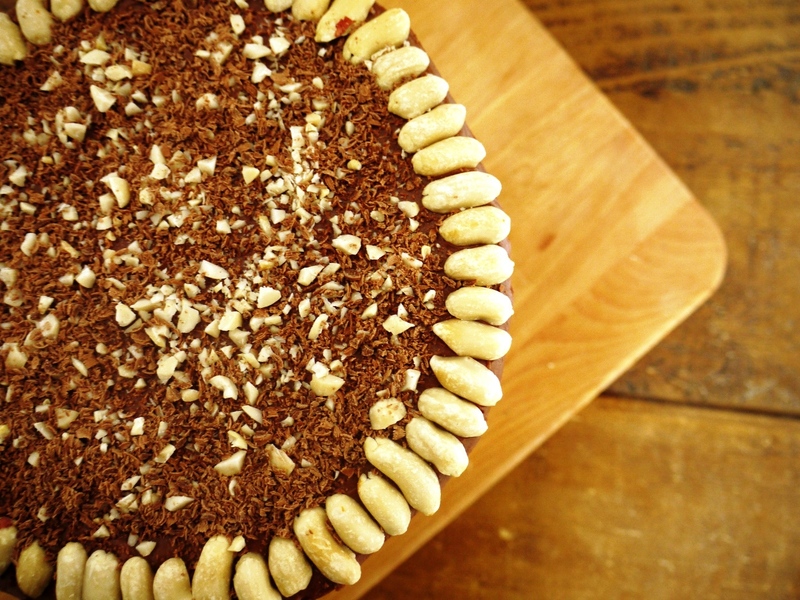 A thin slice will more than suffice as it’s a whopping four tiers tall, each layer sandwiched together with sticky caramel buttercream and scattered with crunchy roasted peanuts. If I had one complaint I’d say that the peanut sponge was perhaps a little dry, although I’m inclined to think this was a fault of my baking as Dan’s recipes are normally so spot on. It may also have been in contrast to the chocolate layer which was rich and moist and everything a chocolate cake should be, but if you’re worried about it simply pour a little cake syrup over the sponge before stacking. I also had a few issues with the chocolate glaze I’d intended to use to cover this cake which I’ve noted below, and goes some way to explain the slightly strange decoration in photo number two (I think the peanuts look a bit like teeth in a skull – great for Halloween, not so good for an April dinner party). Chocolate, peanut & caramel – what more could you want? I’m not going to pretend that this cake is healthy. Or setting the standard for how we should bake at home. But it is made with good ingredients, real techniques and a whole lot of love (ok, and butter, and sugar . . .). If you make one chocolate bar-inspired recipe today, I think this should be it. Don’t even think about that Snickers Pie . . . Grease then line two 18cm round spring form cake tins with a disc of baking parchment. Preheat the oven to 180 degrees C.
Beat the butter, sugar and caramel together until smooth. Beat in the eggs, one at a time and continue to beat until smooth (it may look slightly curdled at this stage, if so, don’t worry). Beat in the ground peanuts then stir in the flour, cocoa and baking powder. Divide the mixture between your two prepared tins and bake for 20-25 minutes or until a a skewer inserted in the middle comes out clean. Be careful not to overbake as this will make it dry. Leave the oven on but remove the cakes and allow to cool in the tins before transferring to a wire rack. Grease and line your two 18cm cake tins as above, making sure they are completely cool before doing so. Put all the ingredients in a large, clean bowl and whisk with a hand-held electric whisk for 8-10 mins until light and airy. Divide the mixture between the two tins and bake 20-25 mins or until a skewer inserted in the middle of the cake comes out clean. Remove from the oven and cool in the tins before transferring to your wire rack to cool completely. Beat together the butter and caramel until smooth, then beat in the sugar and vanilla until thick and creamy. Trim any burnt or coloured edges from your cakes then smear a little buttercream over the surface of your cake card, stand or serving plate. Place one peanut cake (trimmed side down) on the surface then spread a layer of buttercream evenly across the top. Place a chocolate cake on top, then repeat the process with the remaining layers. Spread a thin coating of buttercream over the top and sides of the cake then pop in the fridge for this ‘crumb coat’ to set. Once set, spread the remaining buttercream over the cake in an even layer. I wanted to spoon a chocolate glaze over the top of my cake, as per this incredible recipe, however as you can see from the pictures I made mine far too thick and ended up having to spread it. Because of this I’ve not included the recipe, but do feel free to freestyle some sort of chocolatiness of your own – adding chocolate is never going to be a bad thing in my book. Serve in tall, thin slices. Preferably with a slick of cream, a scoop of ice cream or a big, cold glass of milk. Just, wow. That’s all I can say. Wow! I love this post. First of all, this cake looks delicious. Second of all, I love your point about pre-made foods…completely completely agree. I mean, I know I’m guilty of it to a certain extent, but I’ve been disappointed at the amount of recipes I’ve seen recently that fully rely on convenience foods. This looks so amazing!!!! Seriously thinking of making this for my own upcoming birthday cake! My husband doesn’t bake & I don’t really like store bought cakes (except really special ones) and I think it would be a fUN excuse to make something tricky but delicious!!! Wow, I love layer cakes and I love snickers so this is an awesome combo! I love the way you’ve layered the different coloured cakes – it makes for a great visual! This cake looks fabulous!! Great photos, too! Oh my, If I brought this cake to a party, my friends would LOVE me forever. I guess they should love me forever anyway, but I think the Snickery deliciousness would seal the deal. Erin – thank you. And I agree, it’s so disappointing when things are presented as ‘home baked’ and actually include lots of pre made ingredients. The Jilb – thank you. I can’t really see the fun in making a recipe that relies on ready prepared ingredients. Part of the whole fun is the process, not just the end result. Although this cake is a pretty darn fine end result! This looks amazing and a million times better than Snickers pie! 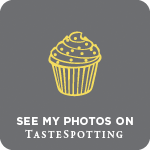 I agree with you about using packaged mixes etc – I get really disappointed when I see a picture of a gorgeous looking cake on Pinterest or whatever, then click through to the recipe and see boxed cake mix and pudding mix as the ingredients! What an amazing looking cake and a extremely well written post. I read it from start to finish and have bookmarked it for my next special occasion. Totally agree with your points about convenience baking too. You are great, always thinking outside the box and putting your own stamp on a recipe. I love this because you know what flavours work together and always produce a cake to WOW people. I do blame the supermarkets for covenience baking. They seem to have caught on to the baking trend and have created a world of ready to go sponge mixes to tempt customers. 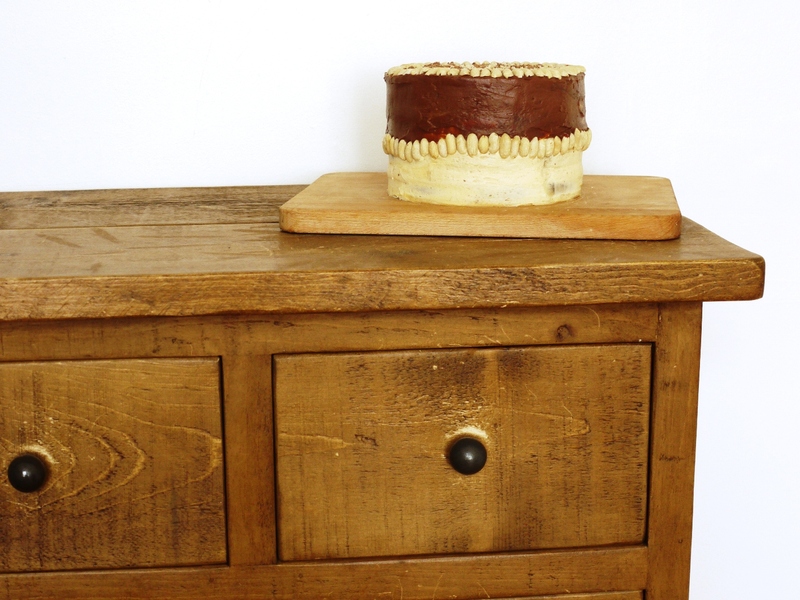 So keep blogging cakes like this and maybe it will sway more people to make their own! Kathryn – 100% agree, pre packaged ingredients take the joy out of baking. Jules – glad you like! Wow! How impressive. And I think I agree with you about the importance of real HOME baking… like from scratch. It is also hard though because we don’t want to fall into a trap where we (as food bloggers) alienate the masses who aren’t into food as we are. That being said, I don’t think we should need to put layer pre-made cookie mix, brownie mix, and oreos in muffin tins in order to appeal to the masses. It’s a hard mix though… home cooking shouldn’t have an air of pretentiousness about it, but it shouldn’t be reduced down to base and just pure gluttony with going overboard on the processed things. Really loved reading this post! Loving the layers in this! I must admit to making Snickers Rocky Road and using chopped up bars in recipes too, although everyone knows that they contain Snickers (which is the lure sometimes!). It does sound unhealthy! but hey, who cares 😉 This is an awesome cake! I want one slice right now! Funny you say it is kind of a monster, it looks like the peanuts are its teeth haha! Gorgeous cake and photos. I can’t believe I missed that Snickers pie! What a revolting concoction. Then again, it’s kind of harsh to centre criticism on it when food magazines regularly publish innocent-looking pasta or meat recipes that clock up 700-800 calories per portion. No one complains then…but apparently when sugar is involved it’s a whole other story. Interesting. I’m intrigued by this cake – I’m not a huge peanut fan, especially not in sweet dishes, but the textures and colours look so lovely that I reckon a piece could convert me! I completely agree. This, looks STUNNING. Love the combination of peanuts and chocolate – there’s an Australian pastry chef; Philipa Sibley who’s signature dessert was based on a snickers- it’s sublime. Baking Addict – definitely make your own peanut butter cups, they’re sooo good. Lay the Table – haha, I know what you mean! Amy – I agree some recipes are too complex for people who don’t bake every day, but boxed mixes are just a con – anyone can weigh out some flour, sugar and baking powder! Surely they are created as much to rip people off as for convenience? Pencil Kitchen – would send you one if I could! While He Was Out – that’s exactly what I thought! Beautiful layer cake! I like the way you decorated it with the nuts what a great idea. I also love teh combination you have chosen – a very awesome cake all round I am in awe. The colours and flavours work so well I just wish I could try it! I am busy working on my next pay day layer cake but the next one is quite different to the others as it has far less cake for once! What an incredible cake!! This is better than any Snickers bar ever could be. 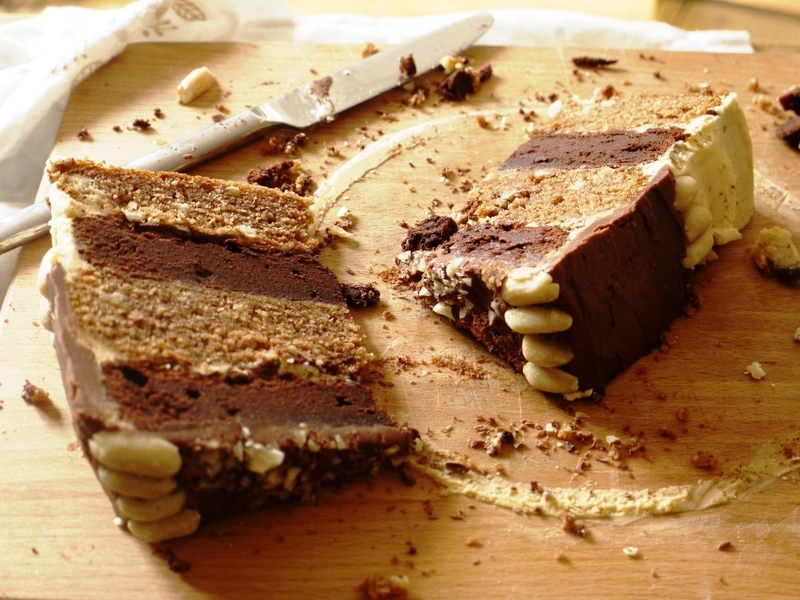 These layers look a fantastic colour and I’d definitely want to try a slice! There’s a place for convenience baking products and if they give people more confident to bake from scratch I prefer them to exist than not. My earliest memories of baking with my mum are from boxed kits and I remember being so excited looking at the picture on the box and being proud I’d made it with her help (I was about six). When you’re experienced at baking things from scratch it’s easy to forget how unfamiliar the whole process is to people who don’t do it all the time and that not everyone keeps the necessary ingredients in the cupboard to do it all from scratch. When I asked friends to test recipes in my book I was taken aback how daunted they were by even by simple cookie doughs and how many of them I had to lend standard baking tins to because they didn’t own them. I definitely think home made tastes best but would never judge anyone for using boxed mixes if that’s what they feel comfortable doing either as a beginner or to save time occasionally. As for Anthony Worrall Thompson, he’s just someone the media likes to have a go at occasionally. I’m sure you’d find plenty of recipes by other celeb chefs that have just as many calories. Deep fried Bounty bars by Nigella for instance?! oh delicious! Ive just rustled up salty caramel sauce…. 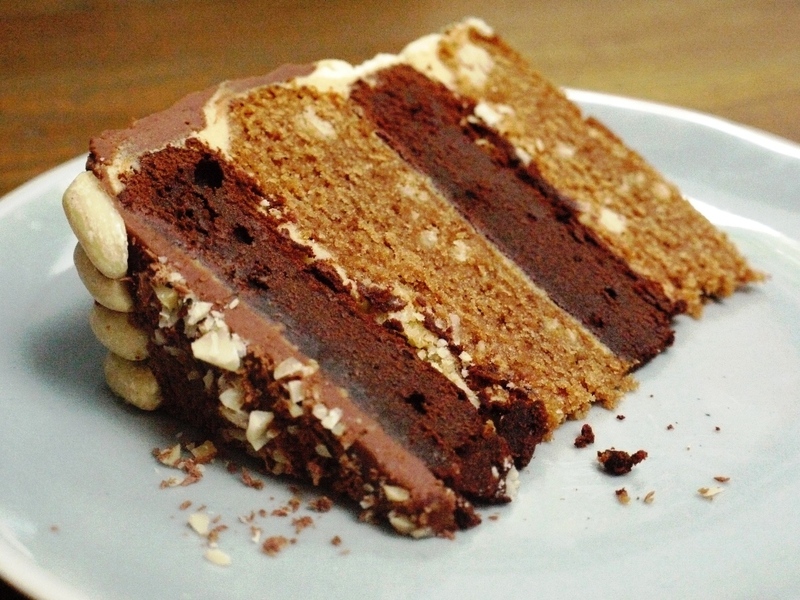 but also have a devil of a cake… a peanut butter and chocolate cake aka eat me up buttercup – yours is definately a guilty ramp up and one to try big time! I love your food philosophy (makes me happy!). And this cake looks just fantastic! Little Loaf, you really are a wonder. Just love your creativity. This sounds incredible and a great take on a snickers (or marathon as I still call them). You don’t sound impressed with your thick chocolate icing, but it looks really striking having the top half one colour and the bottom half the other. The only chocolate bar type cake I’ve had a go at baking was a bounty cake, which was good, but probably needed a chocolate coating of some sort around it to make it look a bit more like the bar itself. Cake Boule – thank you. And looking forward to seeing your payday cake! Sacha – that bakery sounds awesome. Sarah – thank you. I mostly object to the kind of boxed mixes and premade icing that contains horrible preservatives etc, but I also think the most basic ones are a bit of a rip off – the shops’ way of selling what is essentially flour and sugar at twice the price. I absolutely agree that there are completely different levels of baking, but I don’t know that boxed mixes have to play a part in the lowest level. I think the media pick on AWT more than most because he rubs people up the wrong way, but I know what you mean about there being plenty of other unhealthy recipes out there! Marissa – aw, thank you! Baking Serendipity – it’s actually not too ridiculously rich…but it is huge, so baking for a crowd is probably a good idea! HOLY OMG, WOW, I NEED THIS, PLEASE SEND TO ME!! I don’t need to say anything more than that. GASP!!! Did I miss out on this cake for my “Layered Cakes” event? No waaaayy!! This looks so amazing!!! Thumbs up! And the Snickers too.. yummy! Lisa – haha, I wish I could send you some! Looking forward to reading those links! I’m sickened by the way box + candy is becoming the norm for baked goods. It’s crap. Anyway, this looks and sounds delicious! Maybe a little absurd, but hey – that’s the way dessert should be. I agree with you; at least it’s real food! This looks absolutely delicious!! How tall do you think the cake was?